Our bold and colour splat gift bag can either be gives as a present or use as a personalised gift bag. If you do use as a gift bag you can be sure the bag will used by recipient for years to come. 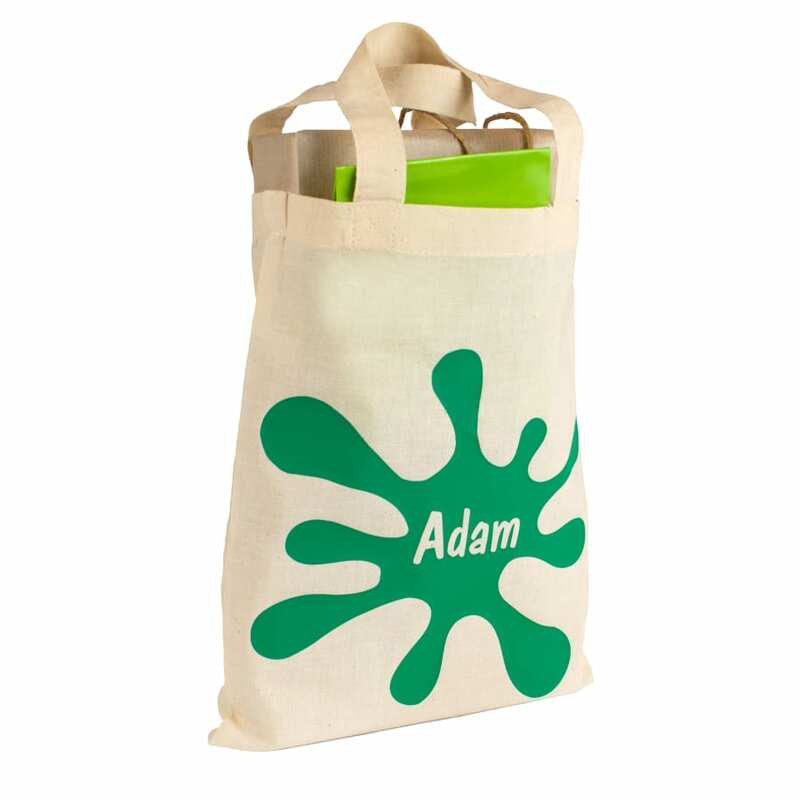 Colourful, bold and suitable for both boys and girls makes the splat gift bag our best selling gift bag. The short handles on the bag make it perfect for little hands to carry. Suitable for using as an activity bag - just fill the bag with paper, crayons, books etc to keep children occupied. A must for travelling with young children. Or as a mini tote bag for children who love to help with the shopping. Your chosen name will appear in the middles of the splat as shown illustrated on this page. Design works best with just the Christian name, however if you wish we can print both Christian and Surname. This would appear over 2 lines. There is no maximum character restriction and we can even print accents.